I’ve heard from and talked to many people over the years who struggle with the existence of God. Some come from the offensive angle of “You can’t prove God exists, so He doesn’t” and some take the defensive angle of “Too much bad has happened to me/the world, so there must not be a God.” I understand and even empathize with both angles. As a Christian man who has been following Jesus (or trying to) for around 20 years, I have a thing or two to say about the notion that God isn’t around. I have had the sensation myself that He is not near and have even (brutal honesty time) entertained the thought that perhaps this Deity I have pinned my hopes on might very well be as present and helpful as Tinkerbell. But cliches’ notwithstanding, I’ve got to say that over the years God has proven not merely His existence, but His presence, His power, His purposes, and His pleasure–all these have been shown to me time and time again. Back To The Future is one of my favorite movie series. I saw the very first one when it came out, and each one has been more captivating to me than the one before. Let me take you back to Back To The Future 3. This one is set mostly in the “old west”. Marty and Doc Brown are trying to figure out how to get the Delorian time machine up to 88 miles per hour when the most powerful thing around are a team of horses. They then realize that there may be a chance that they can get a steam locomotive up to that speed if they can “get the fire as hot as the flames of hell and damnation itself”. 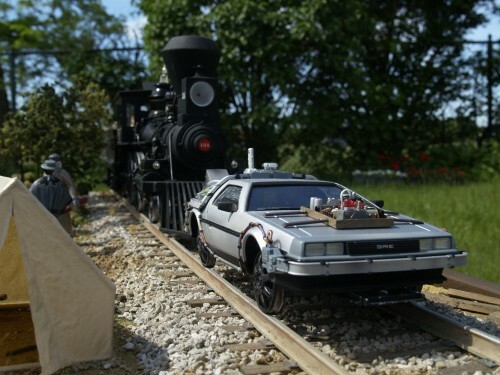 So, they hatch a scheme to “borrow” a locomotive and literally push the Delorian up to the required speed of 88 mph. In true Doc Brown fashion, Doc constructs a scale model of the plan in his barn, complete with a model train, train tracks, and even a miniature version Delorian so that they can visualize the plan from start to finish. And in that scene Doc Brown points out to Marty the “failsafe” point along the tracks; explaining that after they pass this particular point on the tracks, there is absolutely no turning back. Quite literally, it’s either “the future or bust”. Now, before I get to the idea of our “failsafe point” with God, I’d like to also point out that in reality (as far as Hollywood movie reality goes), they were actually pushing that Delorian with that train toward a bridge that was not yet built–a bridge that would span a huge ravine in the landscape. A bridge that wasn’t there. Are you beginning to see the whole idea of faith being sculpted here? Hebrews 11:1 says clearly that “Now faith is confidence in what we hope for and assurance about what we do not see.” Ask most anyone what their definition of “faith” is and you’re likely to hear a sentence containing words like “hope”, “desire”, or even “wish”. But the Greek word used here is the word “pistis” and has behind it the thrust of “being persuaded”. The Biblical word “faith” in Hebrews 11:1 has the strong words “confidence” and “assurance”. Confidence is knowing beyond knowing. Have you ever met a confident person? What was it about them that allowed you to see their confidence? Confidence is knowing what we know and resting in it. 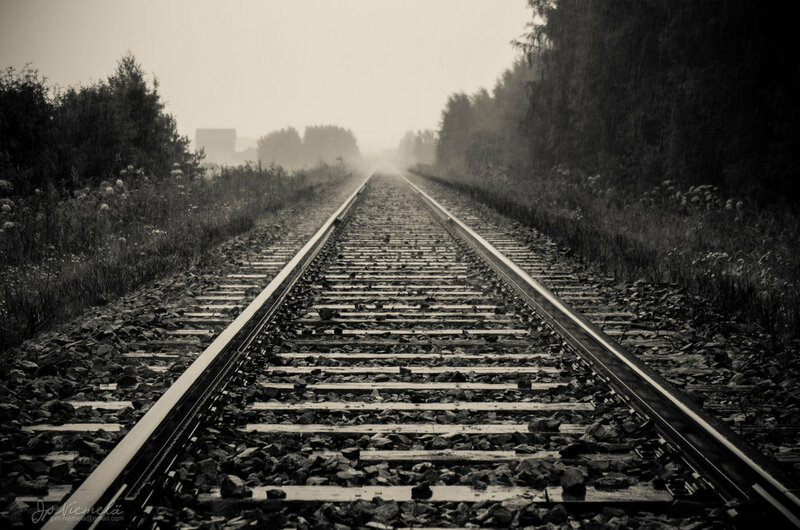 As you face the railroad tracks of difficult situations today, wondering if the bridge will be there at the right moment, may you know that the God who made you is the God who knows you. He’s the God who loves you and He is the God that will sustain you through the faith that He gives you! as nobody else recognise such designated about my problem.